Lauren Levy, a rising senior at Brentwood High School, teamed up with our youth program manager, Colleen, to create a new program that empowers young people to lead service learning projects throughout the summer (read about this and the other youth leadership opportunities that Hands On Nashville offers here). The four youth leaders were selected through an application and interview process and trained by Hands On Nashville in leadership and volunteer management. We are thrilled to introduce you to them in this blog post! Starting this week (and for the rest of the summer) these four incredible volunteers are making their mark on the community in a BIG way. They will lead 10 volunteer projects each addressing one of four issue areas: Homelessness, Hunger, Health and Wellness, and Environment. 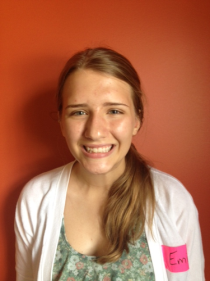 A big thanks to Lauren for her help with developing this new program! > Click here to check out all the unique volunteer opportunities being offered to Nashville youth this summer! 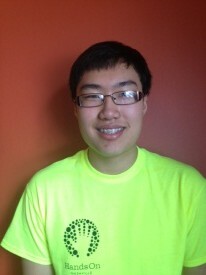 Corey Wu (focus: Homelessness), a rising junior at John Overton High School, wanted to be a Summer Youth Leader so he can improve his leadership skills while volunteering in the community. Corey chose the homelessness issue area because he knows it is a critical issue in our community and he is inspired to learn about how nonprofits are working to address it. Emily McAndrew (focus: Hunger), a rising junior at Merrol Hyde Magnet School, wanted to be a Summer Youth Leader so that she can learn how to be a better leader for her community while helping others. Emily chose the Hunger issue area because she wants to teach youth that the issue is not just something that exists in developing countries. Emily hopes to inspire and teach youth how they can make a difference in solving the hunger epidemic in their own communities. 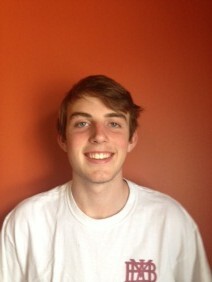 Ferriss Bailey (focus: Environment), a rising senior at Montgomery Bell Academy, wanted to be a Summer Youth Leaders because he is very passionate about service and wants to help the community. He believes that service is beneficial to all who are involved. Ferriss chose the Environment issue area to spread awareness about the importance of taking care of the environment in Nashville, and to help make Nashville a clean, welcoming city. 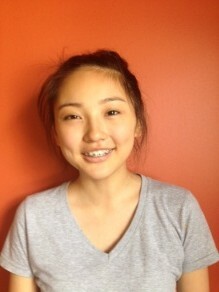 Runze Zhang (focus: Health and Wellness), a rising junior at Martin Luther King High Academic Magnet School, wanted to be a Summer Youth Leader because she has always loved serving her community and others. Runze chose the Health and Wellness issue area because she has many family members that are affected in some way by this issue, and she personally loves to stay healthy and fit. Thank you to these incredible young people for their leadership, enthusiasm, and creative energy! We’ve all experienced those times when we have been reluctant to try something new, for fear of straying from the comforts of familiarity. Once getting past the initial shock of it all, we often find that it was completely painless and maybe even enjoyable. In my last lesson at Bethlehem Centers of Nashville, the middle school students I work with had quite a similar experience, but with hummus and ultimate Frisbee. These may seem like two unrelated topics, but they went along with the fitness and nutrition activity I conducted this month. An early goal of mine was to encourage these students to make healthier choices and emphasize that it doesn’t have to be about making drastic lifestyle changes. There are many simple measures we can take to maintain a healthier lifestyle. To learn some key nutrition facts we made models of the Food Plate diagram and solved Nutrition Label puzzles. Now my hope is to expose the students to fitness games and healthy food options that they are not normally accustomed to in their daily lives. Ultimate Frisbee was familiar to some, but for others it was completely foreign. After practicing our throws and doing a couple of warm-up activities, we got to the best part. These students thrive in active competition. 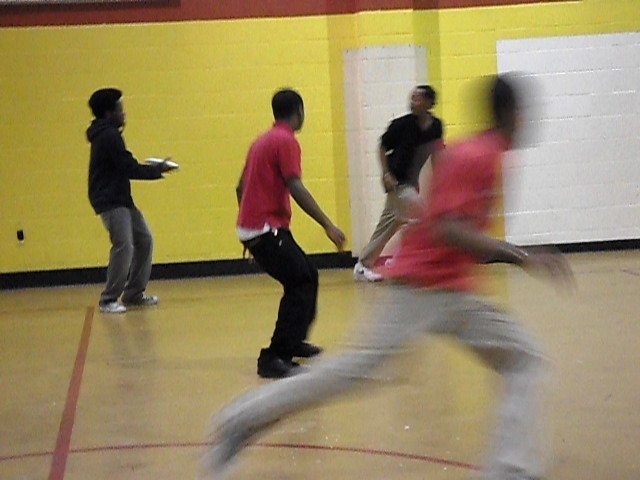 Students playing ultimate Frisbee at the Bethlehem Center. At first, while still getting the hang of it, they were a little apprehensive. They saw the similarities to football and wanted to resort back to their comfort zone. We kept playing anyways and soon they didn’t want to stop. However, eventually we had to move on to our snack. I brought them carrots and reduced fat crackers to dip in some tasty hummus. They were very resistant to hummus because it seemed so strange. I explained the ingredients and where it comes from, but still no one wanted to be the first to try it. In the end, everyone worked up the courage to have a taste, and the general consensus was that it was not as bad as they were expecting. Few admitted to really liking it, but the important thing is that they all tried it. This has been a truly rewarding experience, and I’ve greatly enjoyed working with these students and the people at Bethlehem Centers. Shanna Rucker is a senior at Martin Luther King Jr. Magnet High School. Her YVC Internship focus is on Fitness & Nutrition at Bethlehem Centers of Nashville, a family resource center serving infants, children, teens, adults, and seniors primarily in the North Nashville community.